One thing I tell friends about parenthood is that the important stuff sticks around. You may not be able to spend a weekend binge-watching shows anymore, but you’ll find ways to keep the hobbies that are important to you. Jenny got me Adventures In Homebrewing’s Vanilla Porter recipe for my birthday. I’ve made this kit before and it’s tasty. 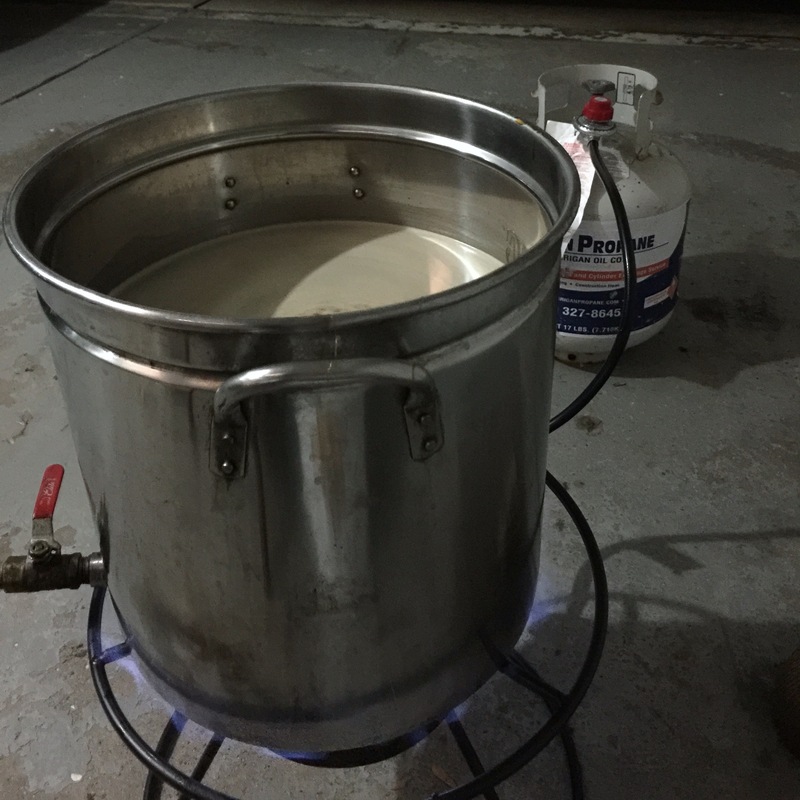 So, last night after we got the girls in bed, I was able to brew a batch of beer. I don’t have 6 hours to spare for an all-grain batch. It was satisfying to knock out an extract beer in 3 hours (including clean up). Sure it was a bit cold in the garage, but the nice thing about brewing in the winter is that the wort chills much faster. Fat Elvis, the peanut butter/banana porter that I brewed at Liberty Street got a shout out in Brew Bubbas’ 100th podcast episode from Joe Walters, the head brewer at Liberty Street! I think another batch may be in order.